Shop â€˜til You Drop- Dublin Style! Shop ‘til You Drop- Dublin Style! Shopping is a great way to spend your free time in the summer- whether you’re buying for yourself or buying for others! For those of you both from Dublin, or maybe looking for gifts to bring home after visiting for the Dublin Irish Festival, here is a quick guide to some of my shopping spots in Dublin. Ha’ Penny Bridge Imports: This store is FULL of Irish Attitude. Offering a wide variety of Irish and Celtic merchandise, some of my favorites to browse include Avoca Woolens, Belleek China, and Irish Jewelry. Once you step inside, you’ll feel like you actually traveled to Ireland! So stop by on your visit and pick up a kilt for that special man in your life or something on my very own wishlist, like a Claddagh ring for yourself! The Morgan House: This is a great one-stop-shop for shopping and lunch! The Morgan house has almost everything you could want, most noted for its home accents but also selling my personal favorites, Vera Bradley bags and Pandora jewelry, there’s no way you will leave empty handed! 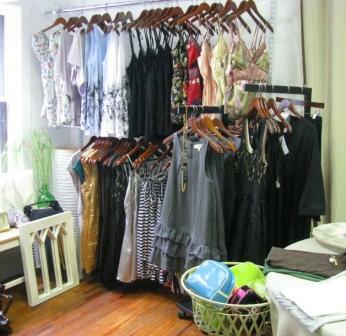 Clover Boutique: This is a neat little shop for one-of-a-kind vintage and handmade merchandise. From beautiful jewelry made by women in Guatemala to clothes sewn by a woman in Delaware (Ohio), you are guaranteed a unique shopping experience. My favorite thing is, you can be helping a good cause at the same time, as many things are eco-friendly or sold to help the poor! One Stop Bead Shop: For those of you who consider yourself crafty, this is the perfect place for you! As a full service bead shop, not only can you buy beads for your own projects, but you can take classes and create beautiful pieces of your own right in the store! I’ve never considered myself artsy, so if you’re the same not to worry… there are professionals to help you. 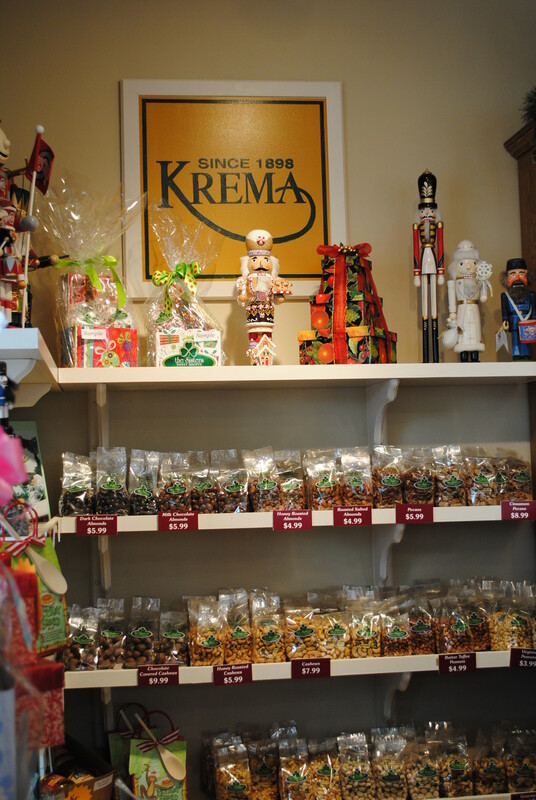 No gift is more special than something hand-made, so be sure to visit when you’re in town! Blankets & Booties: Everyone loves to pamper a cute little baby! Pop into to this neat store to find a great specialty baby gift over which everyone in the family will fawn! I have found that babies make such messes, no one can ever have too many onesies. MJ’s Candy Bar: Perfect for people of all ages, MJ’s is considered one of the best candy stores in Columbus, MJ’s offers a wide variety of candies where you are sure to find the perfect one to satisfy any palette! Sister’s Sweet Shoppe: I firmly believe you can never have too many sweets, so make sure to pop by one of the most delicious places in town. Most places only sell fruitcake at Christmas, but I know a few people who would like to eat it year-round, and thanks to these sisters I can make that a possibility! This is also a great place to go for some Buckeye favorites, which I have found make a great local gift for out-of-towners. If you have any questions, please feel free to call the Dublin Convention and Visitors Bureau at 614-792-7666 or learn more about these places on our website.